The Driftwood Thongsal, located in the picturesque environs of Leh, Ladakh offers comfortable accommodation with modern amenities to its guests. 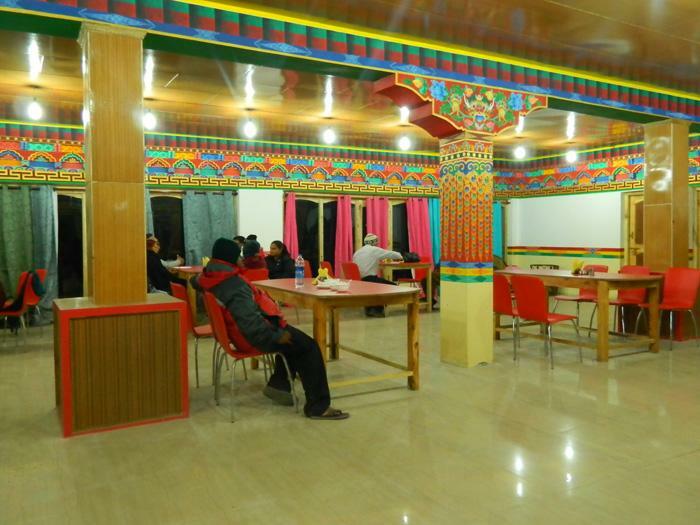 The hand-pickedteam delivers the best hospitality & services.This boutique resort offers a unique experience in Leh, Thongsal is synonymous to a relaxed vacation in the lap of Nature. Amidst the rapidly growing Tourism in Leh, Thongsal comes with culture, tradition and most importantly a very friendly environment which makes you feel at home. You will feel as if you are visiting your most hospitable friend’s exotic house. At the same time, Thongsal has beautifully appointed Guest rooms to take care of the worldly luxuries whilst being in harmony with Nature. No matter how long or short your stay, when you leave this charming place you will be calmer. You will feel a connection with nature.The Driftwood Thongsal, Leh is the best option to experience Ladakh. It offers quiet serenity for rejuvenating the mind and soul in the nature’s lap whilst offering the best in Hospitality. Unlike a city hotel it welcomes you as a friend and pampers you through your stay in Leh.The Driftwood Thongsal offers exclusive service, amazing hospitality, an eco-friendly stay in Leh and value for money. Travel Counter, Room Service, Porter Service Available, Taxi Service, Family/Child Friendly, Doctor on Call, Backup Generator, Front Desk, Security Guard, Banquet Facilities. Television Room, Luggage Rack, Dustbins, Complimentary Toiletries, H/C Water, Complimentary Newspaper. Banquet Facilities, Doctor on Call, Room Service. User reviews for "Heritage Thongsal Resort Leh"